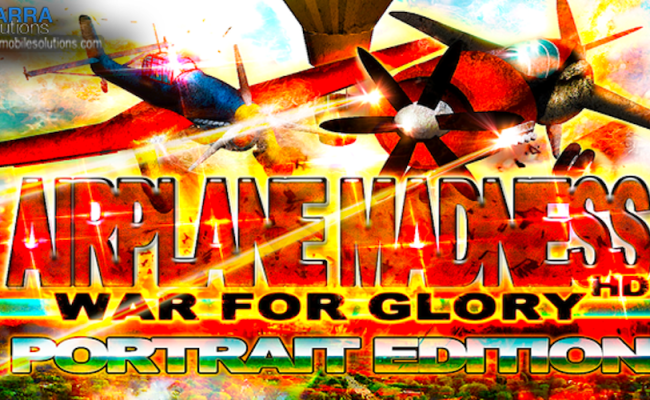 AIRPLANE MADNESS: War for Glory Portrait Edition. Free racing shooter game in clouds! Super fun and simple game that won't occupy much of your device's internal memory or sd card. ction, escaping from psycho flying enemy planes and balloons that will try to take you down while having a dash of adrenaline and fun! Fight as the best jet fighter in the universe but using a retro looking airplane with special construction and run away from madness before getting taken down!